The Ultimate Wedding Planning Party: Are you planning your wedding in the Hunter Valley? Are you planning your wedding in the Hunter Valley? For those of you who have read this magazine, you'll know it's the most comprehensive wedding directory for the Hunter Region! If you haven't read it yet.. I highly recommend you do! 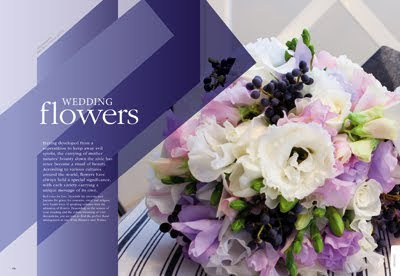 This stylish magazine and easy to navigate website and bridal forum will assist you in planning every step of your wedding from the engagement, right through to your honeymoon. A comprehensive list of professionals servicing the Hunter Region is arranged in user-friendly categories in both the magazine and on the website. 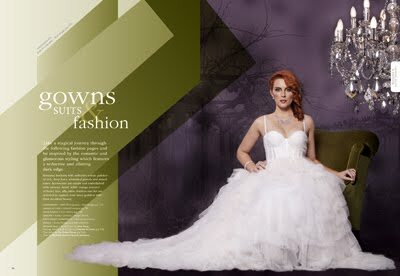 "Your Hunter Valley Wedding Planner" also features helpful tips and advice, entertaining articles, real weddings, fabulous fashion, and page after page of stunning images from around the Hunter Region. Everything you need is at your fingertips - making planning your Hunter Valley wedding an easy and enjoyable experience! 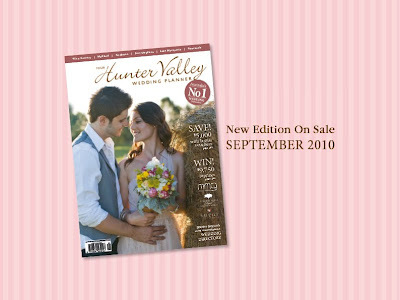 You can pick up the latest edition of 'Your Hunter Valley Wedding Planner' at any good newsagents and Borders bookstores Australia wide.